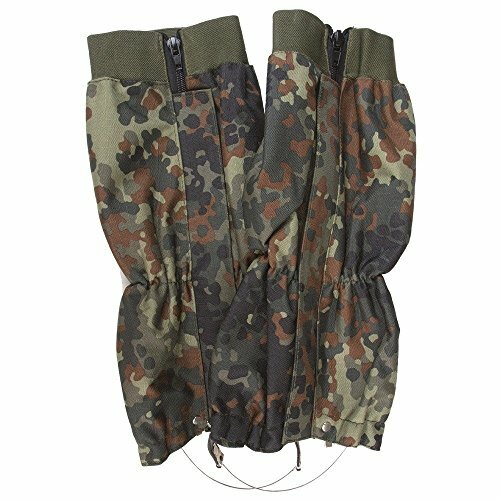 Pair of waterproof gaiters in German Flecktarn camouflage. These gaiters are made from a tough Rip Stop material, and give your trousers protection from water and mud. They are elasticated at the top and bottom, and have a full front zip for getting them off and on easily. The zip is covered by a Velcro storm flap, and they have leather and steel cord straps to secure around your boots.